Robert Scott Bell calls this one of the pharmaceutical and doctor industry’s biggest scams. 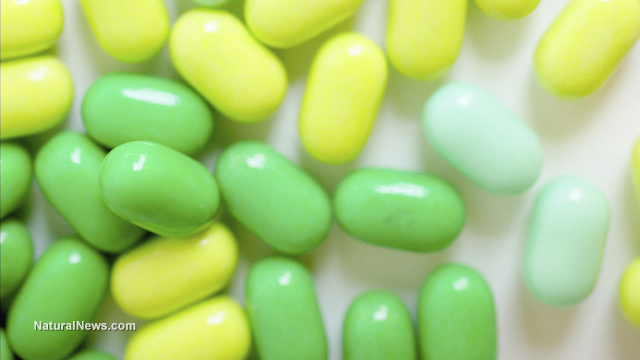 Find out why one of the most commonly prescribed drugs are even around and what some of the long-term effects are that you aren’t told about. Below follow 22 facts, each of which is individually disturbing enough, but when taken in conjunction paint a very ominous picture of the state of the medical establishment in America. Embedded within the bowels of Big Pharma lie little known details most individuals are unaware of. Most of these details rarely get reported by the mainstream media, and when they do, the slant is always in favor of Big Pharma, and if not, what the individual gets is a limited hang out, which barely even amounts to the ghost of the truth. #1: Did you know that the FDA frequently misleads the public regarding long term studies and health? “People assume that FDA approval and the widespread distribution of a drug – with many patients taking it for months or years – means that long–term studies have found it safe in regard to side effects, drug interactions, dependency, addition, and withdrawal. Thus, FDA approval grossly misleads the public, lulling it into an unfounded security. #2: Did you know that the U.S. and New Zealand are the only countries which allow drug companies to advertise directly to consumers? Prior to 1997, there was a ban in place that restricted pharmaceuticals from advertising to consumers – known as drug-to-consumer-advertising, or DTCA- but this ban was removed, to the detriment of the populace. Why is this important? Because that law was in place to protect individuals from the highly specialized, and yet misleading advertising of all drugs. #5: Unsurprisingly, given how Big Pharma & Big Medica have had no qualms in overstepping traditional boundaries, it’s no wonder that in many instances money from pharmaceutical companies sway Doctors’ prescriptions, which shows the serious conflict of interest. #6: Did you know, the FDA only requires two studies for drugs to be approved? #7: This hyper-drugging of the populace has lead to prescription drugs in fact being 16,400% deadlier than terrorists. But you won’t hear that in the mainstream media. #8: Not only is our corrupt for-health for-profit medical system unsurprisingly the most expensive in the world, but our life expectancy is worse than that of a third world country. #9: Heart surgery is 70 times more expensive in the US. #10: Of course, with billions of prescriptions being filled yearly, it’s no wonder that 70% of Americans take prescription drugs. #11: In fact, expensive treatment requests have predictably gotten so bad that Doctors are even calling for a ban for the duplicitous practice of DTCA. #12: A large study, which was published in The Lancet, further debunks high cholesterol myths, admitting statin drugs are essentially worthless. #13: Another study shows that combining multiple childhood vaccines isn’t safe, according to an article in the Journal Of American Physicians and Surgeons. #14: The same statin drugs that were found to be worthless against cholesterol, are now going to be used as anti-cancer drugs. You can’t make this stuff up! #15: Although the US has merely 5% of the world’s population, it consumes 80% of the world’s pain killers. #16: A great portion of this is in large part to what is called “Disease Mongering” and the creation of disease. #17: Pharmaceutical companies Genentech and OSI Pharmaceuticals have even been caught concealing adverse effects of drugs, and were ordered to pay a $70 million dollar fine. #18: America has the worst infant mortality rate of all developed nations. Let that disturbing fact sink in. #19: Since 1986 Big Pharma has had liability shielding preventing it from being prosecuted for endangering public health. And some wonder why the medical establishment is so corrupt. #21: Merely months ago, a study proving that vaccinated children are 3 times more likely to be diagnosed with autism and other neurological issues was banned from the internet. #22: Because of all of the reasons mentioned above, and more, Americans are spending over $30 billion dollars in out-of-pocket costs on alternative health. Thankfully! This overall pattern of dwindling care, that’s overly expensive, and only serves to fill the coffers of Big Pharma will only change when individuals quit buying in to the propaganda from the medical establishment. And for all the technology, public schooling, and billions spent, our medical system isn’t even top 3 in the world, and the statistics prove it. Instead of purchasing health insurance, perhaps individuals should focus on attaining health assurance. The system in its current state sees people as nothing but cash cows, and the sicker they are, the more money they make. And they also aren’t coming up with cures since that, also, will cut into their profits. One must wonder, seeing that they have no virtues and are willing to throw the people under the bus with lies and fraud, what else are they willing to do? Take control of your health, while you still got time. Education will eviscerate ignorance; nutrition will beat disease; corruption will continue to be exposed; but only if the individual chooses to make it so. Individuals can go with the flow, and take the tides as they come, or they can choose to rise to the occasion. Cast light on the shadows. And become the solution you’ve always waited for. Dr. Joseph Mercola, The Great Bird Flu Hoax, p. 39. Dr. Kelly Brogan M.D., A Mind Of Your Own – The Truth About Depression, p. 52. Dr. Kelly Brogan M.D., A Mind Of Your Own – The Truth About Depression, p. 49. A Natural Substitute for Statin Drugs! Statin drugs do lower cholesterol, but at what cost? Dr. Patrick Quillin discusses what statins do and what the result often is of the lowering of cholesterol. He also offers another option for statin drugs. He talks about a natural substitute for statin drugs that doesn’t have the dangerous side effects that statins do. Posted on October 27, 2016 Categories Alternative Health, Alternative Medicine, NewsTags Cholesterol, Dr. Patrick Quillin, Statin Drugs1 Comment on A Natural Substitute for Statin Drugs! As the consensus about statins as cholesterol-lowering “miracle drugs” starts to crack, Big Pharma is doubtless looking for ways to preserve the profitability of the top-earning drug class of all time. Now, a new study in the journal Breast Cancer Research may indicate how statins will soon be marketed: as anti-cancer drugs. The study was released shortly after yet another study challenging the effectiveness of statins, this one in the journal BMJ Open. “Lowering cholesterol with medications for primary cardiovascular prevention in those aged over 60 is a total waste of time and resources, whereas altering your lifestyle is the single most important way to achieve a good quality of life,” said researcher Professor Sherif Sultan of the University of Ireland. For the BMJ Open study, a team of international researchers reviewed prior studies conducted on nearly 70,000 people. They found that among people over the age of 60, having higher levels of LDL (“bad”) cholesterol was not actually associated with earlier death. In fact, 92 percent of those with high LDL cholesterol actually lived longer than people with lower levels. “Older people with high … levels [of] the so-called ‘bad’ cholesterol, lived longer and had less heart disease,” co-author Dr. Malcolm Kendrick said. The study undermines the idea that high blood cholesterol leads to heart disease. That’s why rather than artificially lowering cholesterol with drugs, people should use lifestyle methods such as improved diet and exercise, and quitting smoking, which have actually been proven to lower heart disease risk and lengthen life. The findings led the researchers to conclude that that “the benefits from statin treatment have been exaggerated.” That was also the conclusion of a 2015 review in the Expert Review of Clinical Pharmacology, which found that statins actually only lowered heart disease risk by 1 percent, not the 36 to 54 percent reported by drug companies. The study also found that media reports consistently ignored high rates of serious side effects. 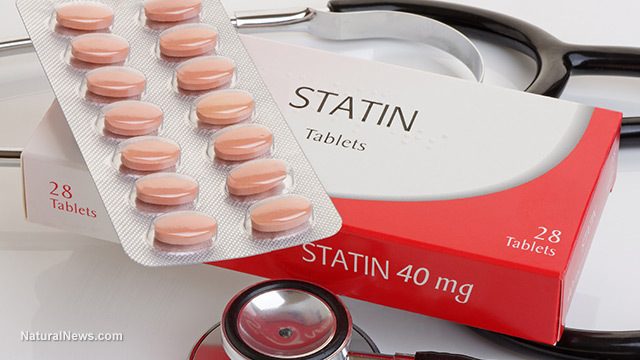 “Increased rates of cancer, cataracts, diabetes, cognitive impairments and musculoskeletal disorders more than offset the modest cardiovascular benefits of statin treatment,” those researchers wrote. Will cancer patients now get cancer-causing statins? With the American Heart Association and American College of Cardiology recommending that one-third of U.S. adults take statins, these blockbuster drugs aren’t going away anytime soon. But just in case some patients and doctors start to grow too skeptical, Big Pharma and its backers are getting the next big statin use ready: as a cancer treatment. The new Breast Cancer Research study, conducted by scientists from Aston University, found that cancer patients with the highest cholesterol levels were least likely to die from the disease. Instead of drawing the obvious conclusion from this research – that cholesterol, an essential nutrient, might play a role in helping the body fight cancer – the researchers instead concluded that cholesterol-lowering statins must be responsible! This conclusion raises the question of why, if the statins were doing their jobs, these patients had such high cholesterol levels at all. Certain studies have indeed suggested that cholesterol may play a role in “fueling” certain forms of cancer, but early studies also linked high cholesterol with heart disease and cardiovascular mortality. And given how ardently statins were embraced as a miracle cure for heart disease and how the shine is going off those hopes, proclamations of the same drugs as miracle cancer cures seem premature, if not downright disingenuous – particularly since cancer is one of the proven side effects of statin use. A good diet is still one of the single most effective ways to avoid both heart disease and cancer. Boost your diet and stay healthy with Organic Hemp Juvenate, a blend of organic hemp protein powder and other superfoods designed to nourish your entire body. Natural medicine is an amazing field, full of inspiring stories and an ever-accumulating body of scientific research to support its increasingly popular view of health. In fact, at GreenMedInfo.com we specialize in dredging up from the National Library of Medicine’s 23-million citation deep, seemingly oceanic database, highly promising clinical pearls indicating not only the value of natural substances in disease prevention and treatment, but sometimes their clear superiority versus drugs. What’s not to like about that? But our project, and natural medicine at large, is not without its challenges, one of which is that it is quite easy to get caught up in the allopathic model of treating surface symptoms, albeit naturally. This ‘natural allopathy,’ if you will, entices people to look for ‘natural cure’ shortcuts and Band-Aids instead of address the deeper issues associated with avoiding, limiting and addressing environmental exposures, reducing stress, and improving diet and exercise, for instance. In a culture that pops hundreds of millions of doses of drugs and supplements on a daily basis, it is increasingly difficult to break free from the powerful psychological pull to ingest something — be it a natural or synthetic “magic pill”; its effects real or imagined — instead of address the underlying problems. 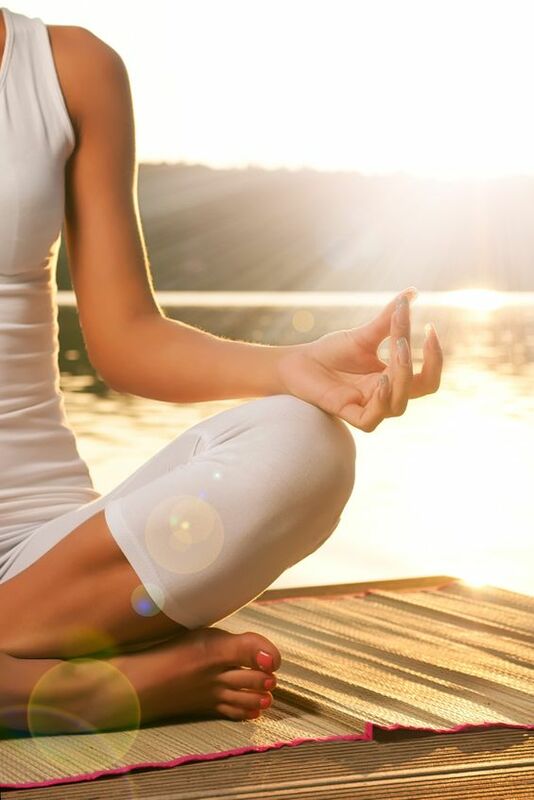 This is also why part of our project is to identify peer-reviewed published research from biomedical journals indicating that there are therapeutic actions, from walking to yoga, dietary changes to exercising, that are at least as effective and often superior to conventional drug-based treatments. This sampling reflects only a minor subset of data within our Therapeutic Actions index, one of six databases on the GreenMedInfo.com open access site. Presently, we have 216 distinct actions indexed, which can be viewed on our Therapeutic Actions Display Page. You may be surprised how simple conscious acts such as chewing your food thoroughly, laughing or a walk in the forest can produce healing responses within the human body. Sayer Ji is founder of Greenmedinfo.com, Vice Chairman of the Board of the National Health Federation, and Fearless Parent, Steering Committee Member of the Global GMO Free Coalition (GGFC), a reviewer at the International Journal of Human Nutrition and Functional Medicine. More and more experts are starting to agree that cholesterol isn’t necessarily a leading cause when it comes to heart disease. But how did it get that way in the first place? And now statin drugs are one of the most prescribed drugs on the planet as so many try to drive their cholesterol numbers lower. Dr. Stephen Sinatra explains the origins and what he used to believe in terms of cholesterol as well. Find out how doctors got it wrong about cholesterol.